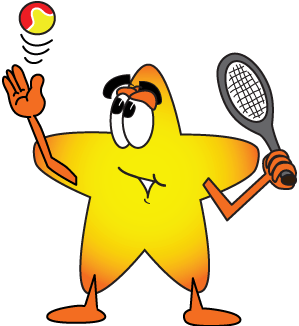 Rally Stars gives you the chance to see your children learn and enjoy tennis, and you can take part by becoming a volunteer coach. It doesn’t mater if you’ve never picked up a racquet – what’s important is that you and your child can be together on the courts. Oncourt help is always needed – no tennis experience necessary. Children love snacks after playing tennis. Offer to set up a snack schedule for your child’s team. Be a “Ball Parent” and retrieve balls during matches. Match play is an important part of the program. Make sure your child is present for matches. This way the team won’t have to “forfeit” a court. Make sure your child is dressed to play tennis – sneakers, hat/visor and sunscreen, water, and if possible, a proper sized racquet.